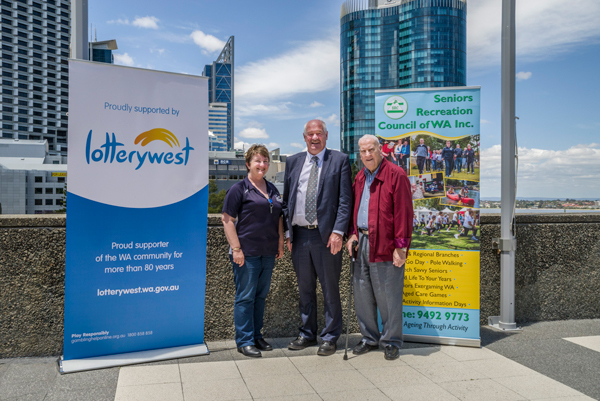 Have a Go Day 2018 a LiveLighter Event Supported by Lotterywest - Seniors Recreation Council of WA Inc.
Minister Mick Murray presented a Lotterywest cheque to SRCWA State President Hugh Rogers and SRCWA Executive Officer Dawn Yates. Have a Go Day 2018 a LiveLighter event, would not be possible without the support it receives from all our sponsors and partner organisations. 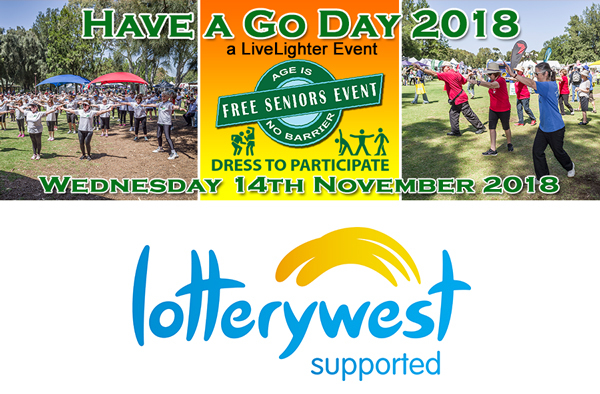 We are pleased to announce Lotterywest is once again a major sponsor of Have a Go Day 2018. SRCWA acknowledges and thanks Lotterywest for its continuing support . Lotterywest is unique. It is the only lottery in Australia, and one of the few in the world, where all the profits are returned directly back to the local community. Lotterywest’s support for the community is possible only because of the retailers and players that support the purchase of Lotterywest games. When you play Lotterywest games the money stays in Western Australia – via grants (direct grants and statutory allocations), prizes and employment opportunities for locals. Every Western Australian is a winner. In the 2017-18 financial year, Lotterywest provided $260 million to support the WA community and $463 million went back to WA winners. In the 2017-18 financial year, 785 not-for-profit organisations and local government authorities shared in $104 million of direct grants. So continue purchasing lottery tickets through authorised Lotterywest retailers and help make our local community events possible.